In an alternate universe where humans and fairy-tale creatures coexist, it’s fitting that hip-hop heavyweights and leading pop lights join forces on this soundtrack. 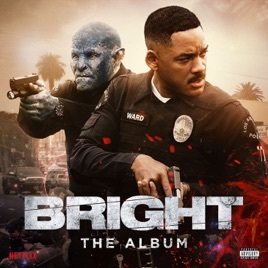 Migos and Marshmello unite on irresistible house-hop banger “Danger” and Camila Cabello sprinkles elvish stardust over Grey’s cosmic pop on “Crown,” while the mellow “Campfire” sees DRAM connect with Neil Young. Much like the film’s urban-fantasy mashup, these adventurous pairings perhaps shouldn’t work—but absolutely do. ℗ 2017 This Compilation 2017 Atlantic Recording Corporation for the United States and WEA International Inc. for the world outside of the United States.